Help please - Hornsea/Poole or something else? Can anyone identify these pieces please? There is no back stamp. I was thinking 1950s Hornsea perhaps but, it is not my field, and I have not found any identical pics. Re: Help please - Hornsea/Poole or something else? Not Hornsea, probably German, but we need a base pic for ID. OK, I'll get you one. 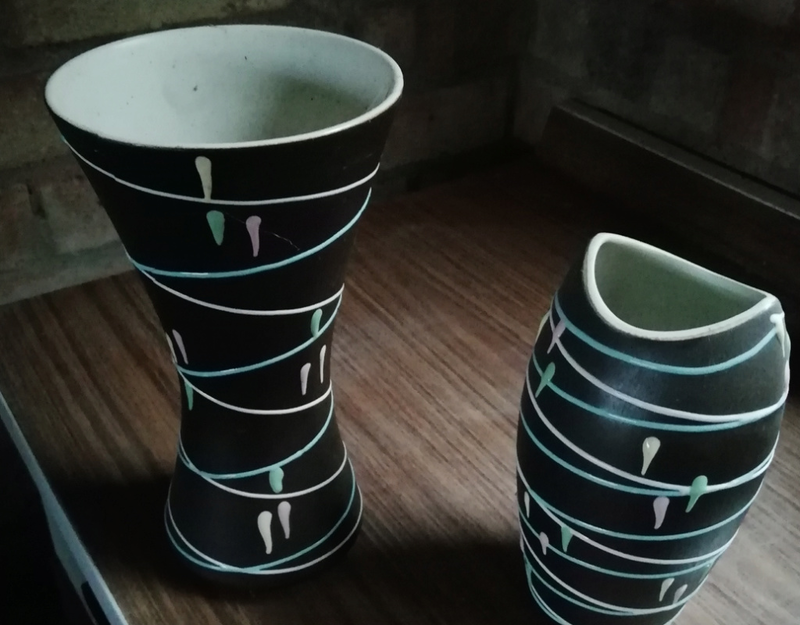 A friend who is clearing his late mother's house sent it, asking if it was Denby and I said not but i would try to find out via this forum what it is. I will go back to him.